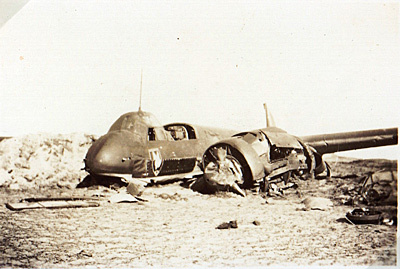 Ju 88C-1 serial number 360286 emergency landed near Blaavand 1/3 1943. The aircraft belonged to Stab/ IV/ NJG 3 and was coded D5+EV. While on a non operational flight Hauptmann and Gruppen Kommodore Eric Simon experienced an engine fire on the right hand engine and emergency landed the Ju 88 on the beach area north of Blaavand. The aircraft was 75% damaged. Simon and Engineer Feldwebel Erwin Schröder were both injured and were taken to the Sct Josef hospital in Esbjerg for treatment. 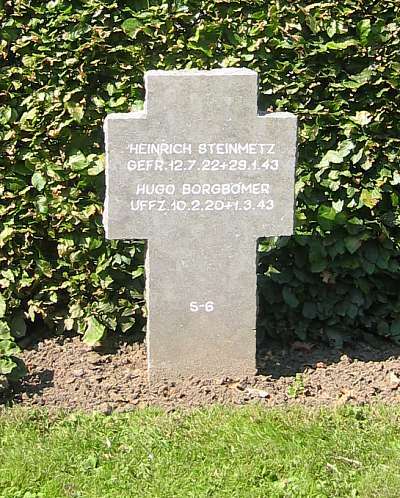 Wop Unteroffizier Hugo Borgbömer lost his life and was laid to rest in Fovrfeld cemetery in Esbjerg on 4/3 1943. Sources: RL 2 III/1187, WASt, BE.